Why College Love Feels Like The BEST Kind Of Love! There is something magical about two people meeting as young adults, falling in love and then staying like that as they go through the big changes in their lives. When your love grows with you, your story turns out to be grand. 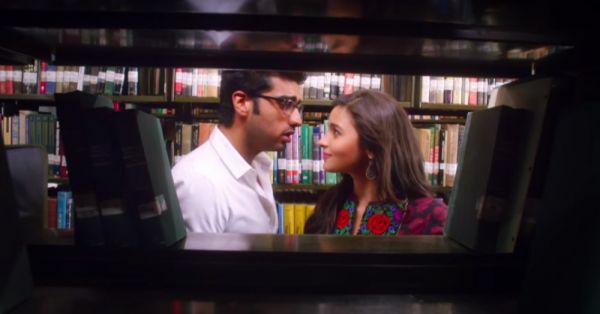 Here’s why people who fall in love in college make the best couples! And only after meeting and knowing the sea of other young people around them, do they find themselves most comfortable with each other, and stop looking any further. 2. Spending day in and day out together, they come to know each other down to their littlest habits! And it’s these tiny habits that make them fall for each other. From nightovers to overnight assignments, from the first kiss to the first romantic trip alone - these little firsts give their relationship a rock solid foundation, that only continues to get stronger through all of life’s surprises later. 4. While in college, they aren’t even scared of the future! Because a) it’s not imminent, and b) they’re far too young to worry about marriage. But here’s what happens to them a few years later - they find it difficult to imagine a life without one another and marriage to them, then, just becomes the next step. No cold feet. It’s beautiful how they are ready to give themselves entirely to each other. Somewhere, they feel safe even in their vulnerability with each other. From playing cupid to playing agony aunt and relationship expert - the entire gang is with them, right through their happiest moments to the lowest - and all that culminates into a big celebration! And know exactly why the other is the way he is and what changes he/she has survived. And come what may after this, they stay unshakeable together. ‘Coz that is what student life really is all about - about exploring your own self and having fun while doing that. And if on this journey you find someone who understands you and is willing to walk along - well, that just makes life sweeter. GIFs: Giphy, Tumblr HAVE A STORY IDEA FOR POPxo? If you want to hear about it, we can write about it! Just tell us your idea here! MUST-READ: 8 Relationship Habits *Every* Couple Should Develop! MUST-READ: 12 Signs You And Your Guy Are The Ultimate Cool Couple!